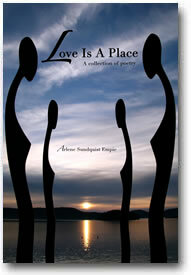 Arlene Sundquist Empie’s passion and life experience conjoin to create a powerful collection of poems that cast new light on love and place. Whether she’s observing the shenanigans of coyotes or the mating dance of Diamondback rattlesnakes, her careful descriptions and rich imagery give us renewed appreciation for the natural world and all its inhabitants. In poems that range from the Upper Sonoran desert to the shores of the Salish Sea, she reminds us to heed the call of Nature. “Listen” she says. “Their songs are here. The beat goes on.“ Empie’s a trustworthy companion. Take her with you on your next trip. See if you, too, don’t begin to hear their songs. The West didn’t close in 1893 contrary to that which American historian Frederick Jackson Turner proclaimed. There were opportunities for adventurous Nordic women who became part of America’s westward expansion. An insightful analysis of the immigrant experience and a compelling story of a young peasant girl’s trek across North America after her bleak arrival and quarantine in Quebec 1893. In Telluride, Colorado, Ida marries an ore miner and runs their boarding house, finally to fulfill her "American Dream" in Washington’s fertile Skagit Valley! 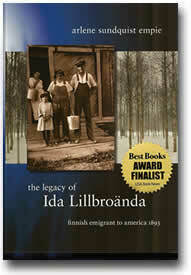 The Legacy of Ida Lillbroända intertwines historical research with compelling story of courage, pioneer spirit and family tradition. The National Best Books 2010 Awards Finalist Multicultural Nonfiction; The National Best Books 2010 Awards Finalist Narrative Nonfiction. Silver Medal Multicultural Nonfiction Benjamin Franklin 2011 Award, Independent Book Publishers Assn. “IPPY” Bronze Medal Multicultural Nonfiction 2011 Independent Publishers. Minding a Sacred Place features the widely acclaimed Boulder House, nestled amid petroglyphs and precambrian boulders in Arizona's Sonora Desert. 2002 Independent Publishers IPPY Award for Architecture Book. We are not accepting book proposals at this time.